Hi. 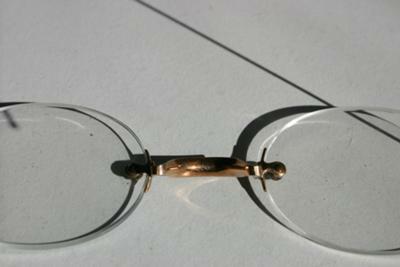 I collect pre-WWI eyeglasses. I have one here that is far nicer than anything i've ever collected. It's a rose gold color. It has a large C, with a serif on the top of the C, but not on the bottom. It also has a small capital A in the middle of the C. There's a small circle with a line bisecting it horizontally. I looked through a book at the library, but didn't see anything like this. Any ideas? Is it a true mystery? I'm really just curious about the history of it. Thanks!